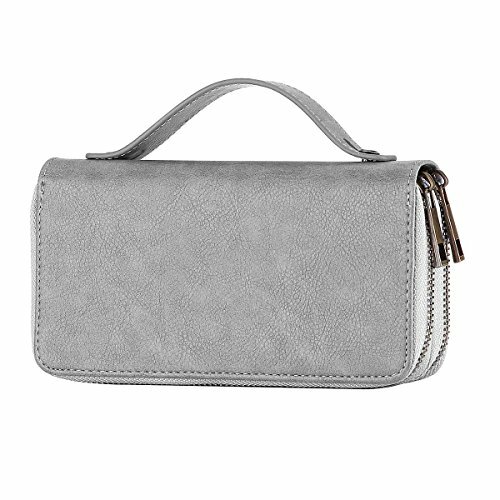 Double-zipper wallet clutch that has a removable wrist strap. The wrist strap is 7 inches long. 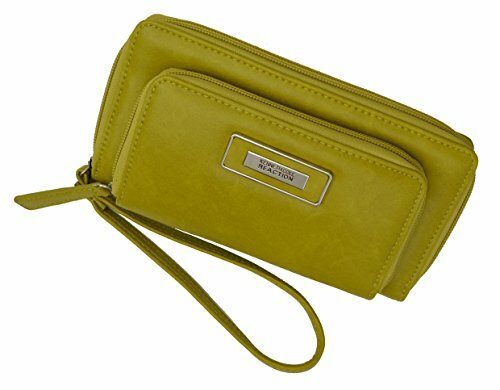 Soft vegan leather and chic colors make this wallet a must have. It is the perfect addition to your everyday life. Both convenient and functional for a quick grocery run but also chic for a night out. Description:1.100% Brand new and high quality 2. 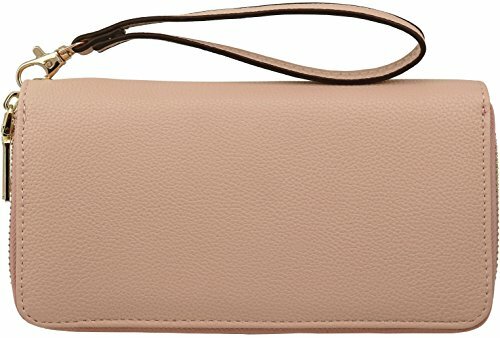 This double ziparound wallets wristlet handle, multiple full length bill compartments, cell phone pocket(3) Suitable occasions: Business Card Cases, Casual, And a wonderful gift for all occasion6. Package include:1 pcs.Note: Due to the difference between different monitors and light, the picture may not reflect the actual color of the item. Thank you! We are professional wallet manufacturer in Guangzhou, China. We have our own brand. At the same time, we accept do wholesale and Oem. Features: - The clutch wallet is made from high-end durable PU leather with fabric lining, gold-tone hardwares, smooth and durable zippers - This wallet organizer features great storage capacity and usablity. 2 major compartments: 1 inner zipper pocket and 8 inner slip pockets offer great variety of storage, 8 card holders. 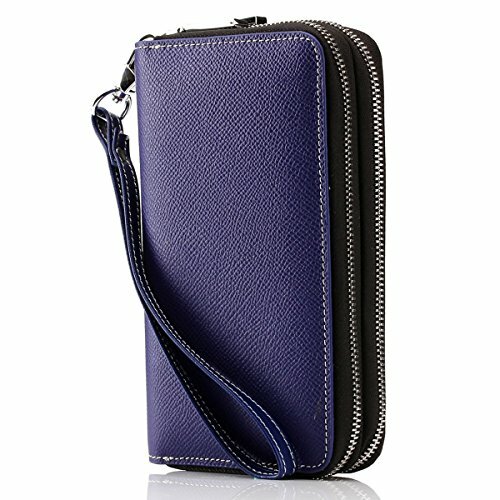 - This chic accessory features double-zip-around closure with separate storage. - The wristlet wallet could be converted as a clutch purse when you just want to hang out with the handy clip-on strap - Warranty 1 years Package Include: - 1 x wallets Only About CROSSLANDY CROSSLANDY is professional enterprise specializing in designing and manufacturing backpacks, wallets for women and other outdoor gears, we eternally promise our products' design, craftsmanship and capability to be the best. CROSSLANDY has the consistent principle of making the best products for the consumers. CROSS LANDY has the advantaged capability of perfectly fusing designs, quality, innovation and superior materials, making the products durable. "Description: Material: High quality leather. Size: 20.5 (length), 12cm (high), 4cm (wide). Function: 1: large capatical men's cluth bag wallet; 2: Double zipper business wallet; 3: multi-function: Wallet, card holder, phone wallet, photo and coin purse. " 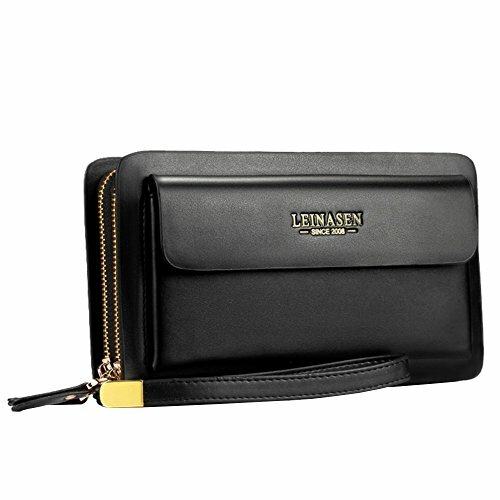 Double-zipper wallet clutch with removable wrist strap. The strap is 7 inches long. Soft, vegan leather and the cute, artistic graphics make this a statement piece: perfect for those who dare to be different and love animals. 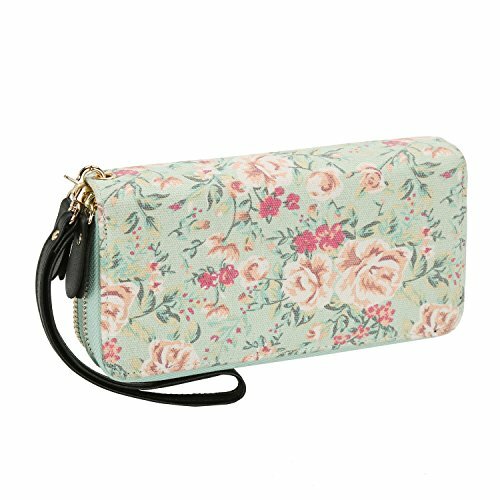 Both stylish and functional, this wallet if perfect to carry out to run quick errands and/or organize your bag or backpack. The fun graphics will put a smile each time you use your wallet. This gorgeous multi purpose shoulder wallet and clutch organizer is made by Paul & Taylor. Paul & Taylor uses fine quality leather for all its products. Slight variations in color are true features of natural leather and do not affect its strength or its quality. Interiors are crafted with high quality PU-leather to add strength and durability to our products. This is a small size high quality leather shoulder wallet with the perfect functionality look about it. This product is made from the finest grade leather and has that wonderful new leather aroma. There is no doubt that this wallet has plenty of attitude. All you need in one small case. Your cell phone fits in on of the interior compartment or in the front slide-in pocket. Shoulder strap is secured to the bag and can't be removed. 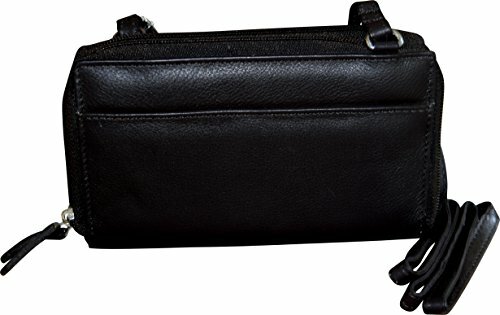 Features a total of 16 credit card slots, 2 slip-in pockets, coins pocket and bills compartment. 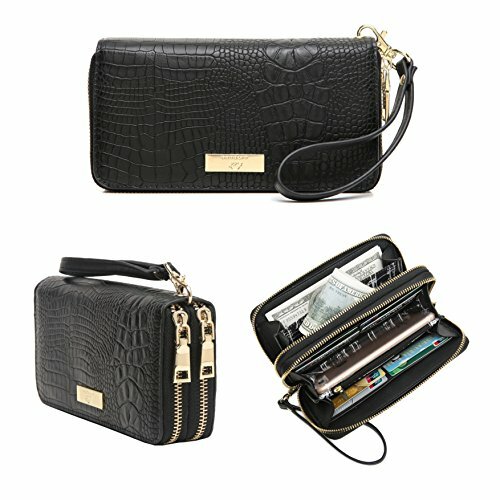 Compare prices on Double Zipper Clutch Wallet at ShopPlanetUp.com – use promo codes and coupons for best offers and deals. We work hard to get you amazing deals and collect all available offers online and represent it in one place for the customers. Now our visitors can leverage benefits of big brands and heavy discounts available for that day and for famous brands.